JUMP CUT, the 1st Ellie Foreman Mystery in 10 years, was published on March 1 by Poisoned Pen Press. 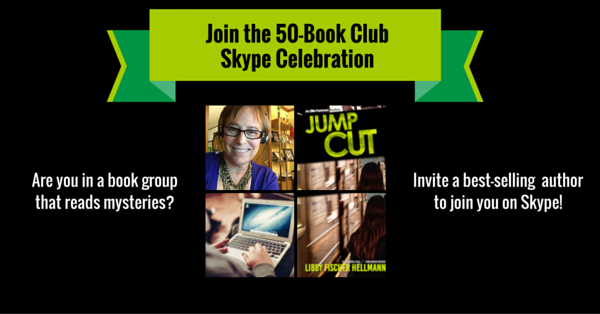 In order to celebrate this, the 5th entry in the series, Libby is hoping to be a guest at 50 Book Clubs via Skype. Imagine your book group having the author as a guest. 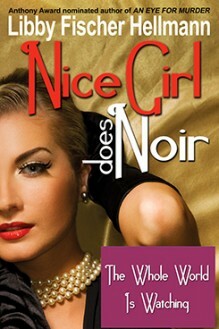 You’ll be able to have an in-depth discussion about the featured book and its characters with the author herself. Ask questions about the novel from the person who wrote the book. Learn more about Libby and her writing process. This book group opportunity is in conjunction with Libby’s latest novel, Jump Cut., but it certainly isn’t limited to that novel. Libby has 12 other books you are welcome to focus on. And in case you’re wondering, here’s a 10 minute video “preview” of a live presentation Libby did in April, 2016 with a book club in Naples, Florida. In addition to private book clubs, libraries, and bookstores in the US, groups in the UK and Europe are welcome to apply. And, if you’re somewhere in Chicagoland, perhaps you and she can meet in person. Libby will be in touch to make it happen! In the meantime, head here to learn more about Jump Cut and read an excerpt. Btw, Libby is happy to provide a discussion guide and a set of blog posts she wrote about the story and the issues it raises.